I wash my clothes (and I mean, handwash), I do the dishes, and I can clean the toilet. 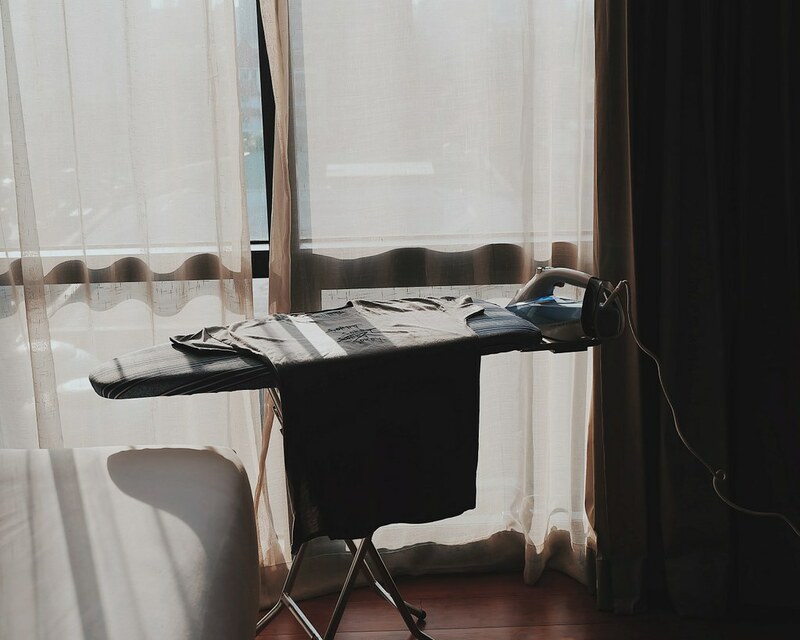 One of the household chores I refuse to do though is ironing clothes. It is the very reason I chose clothes that are easy to wear, don't need much ironing, or pretty much - wash & wear. 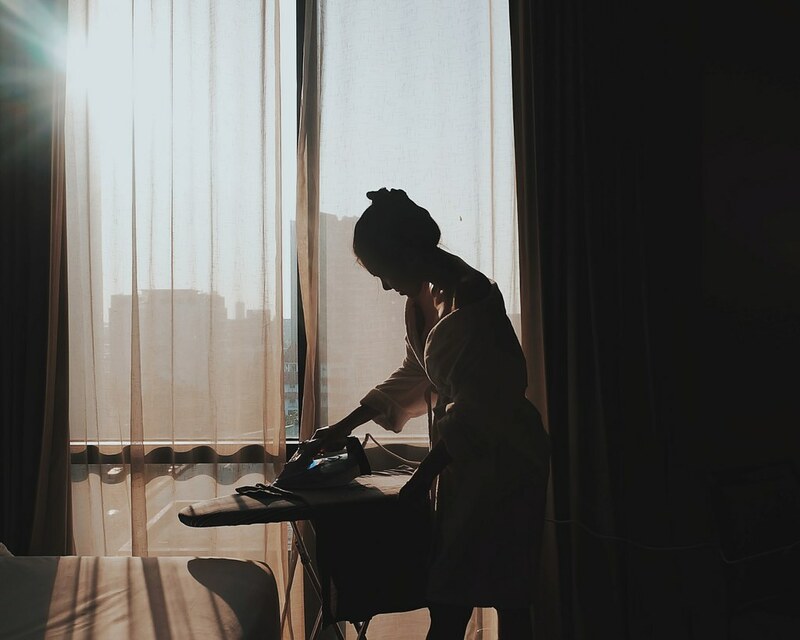 Last year, I received the newest member of Philips Garment Care Appliance, the Philips PerfectCare Azur Steam Iron. We have been using our old flat iron which has been with us for years so, truth be told, it took a while for me to accept this new flat iron. But Philips PerfectCare Azur Steam Iron didn't make it hard for me to get acquainted with it. First off, I like how sleek it looks like. 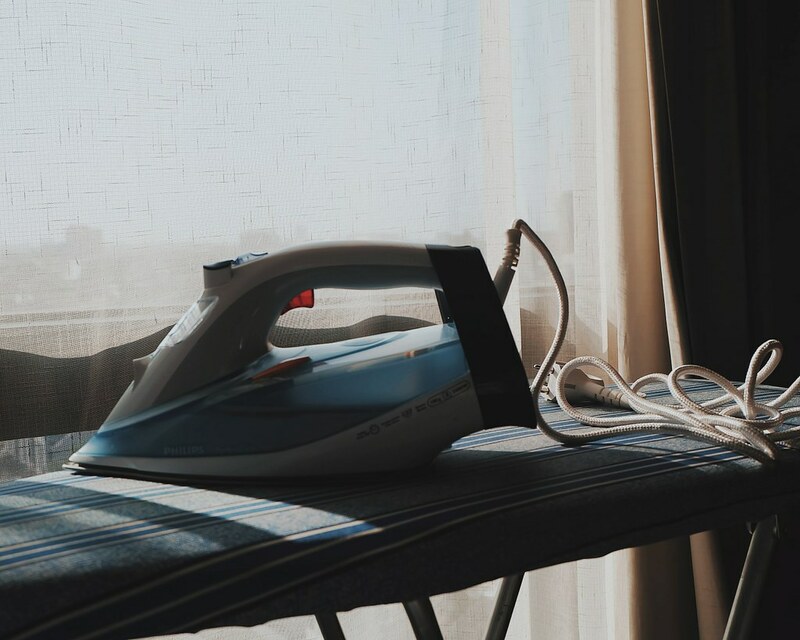 It is a little heavier than our flat iron weighing 1.7 kg but it glides smoothly on any type of clothing material or surface. The truth is, I am quite skeptical in using steam flat iron because of the idea of having water in a heating appliance. At home, we still use the traditional water sprinkler. 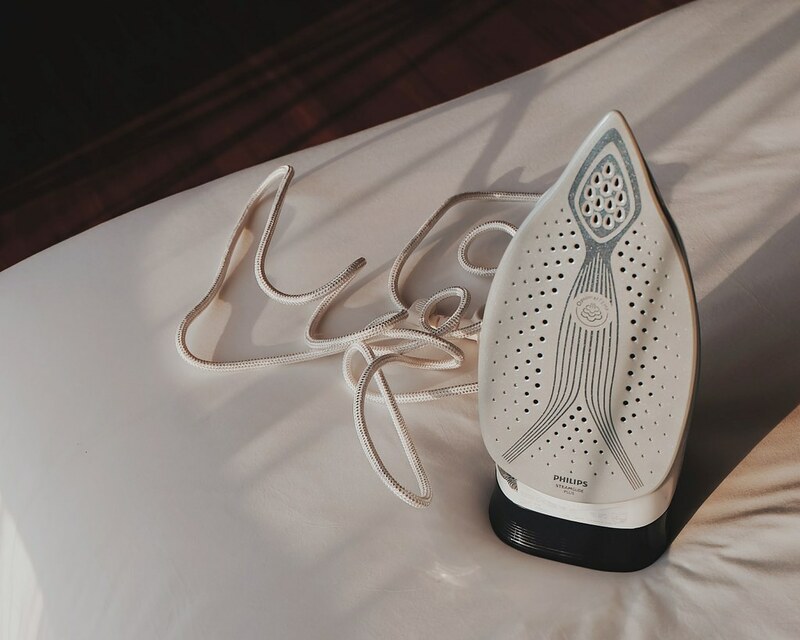 The Philips PerfectCare Azur Steam Iron is however, safe and easy-to-use. 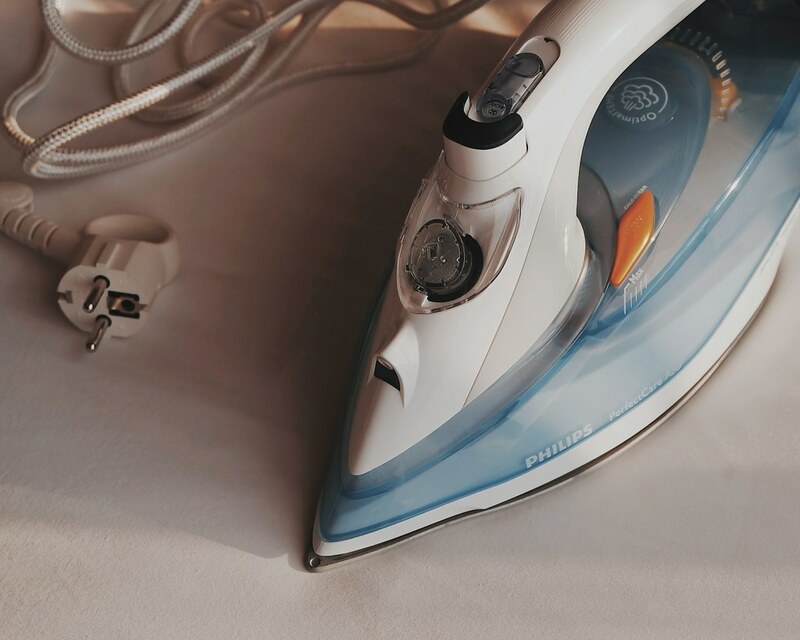 To use the Philips PerfectCare Azur Steam Iron, fill the water tank to the MAX Level. It is safe to use tap water with it. 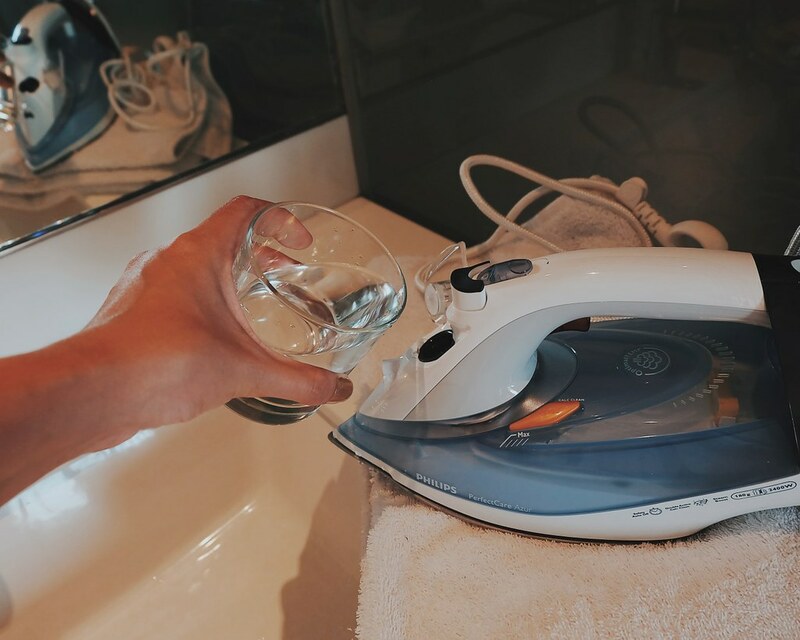 The PerfectCare Azur steam iron is designed to be used with tap water. 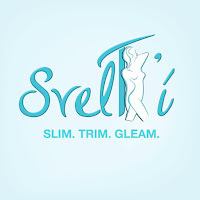 Double Active Calc Clean: A smart combination of Calc Pills and a regular Self Clean reduce the scale built-up. 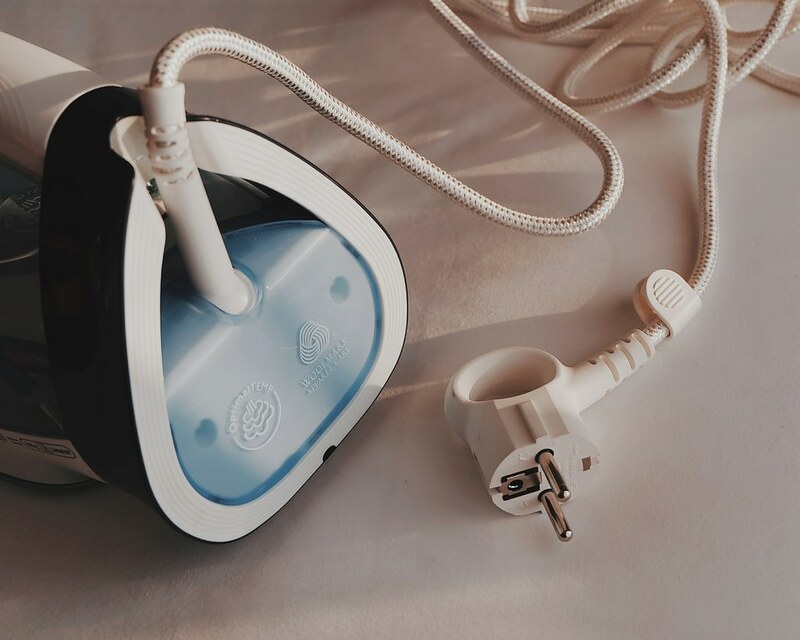 Plug it and wait for the SmartLight (Blue LED Light) to stop blinking - which means it is ready to use. 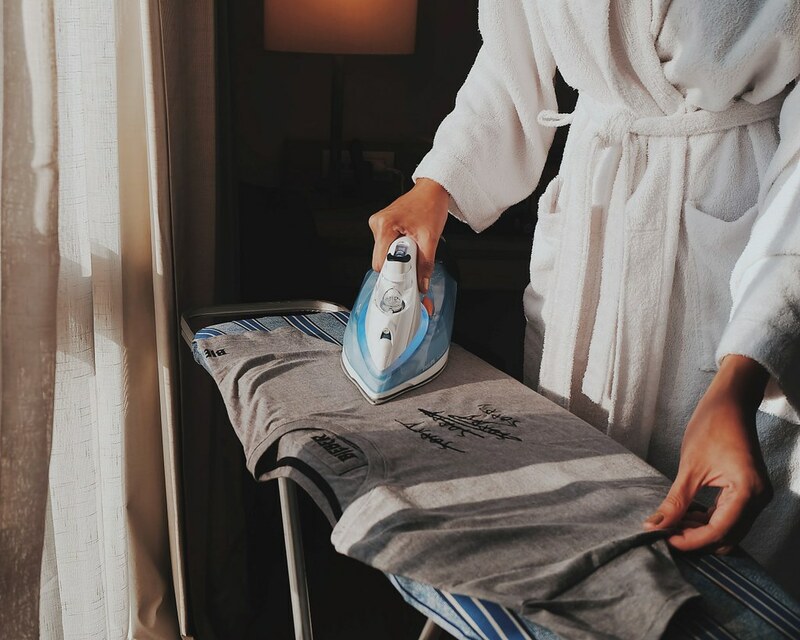 The Philips PerfectCare Azur Steam Iron has OptimalTechnology which enables you to iron all types of ironable fabrics, in any order, without the need to adjust any temperature setting. Example of these fabrics are linen, cotton, polyester, silk, wool, viscose and rayon. 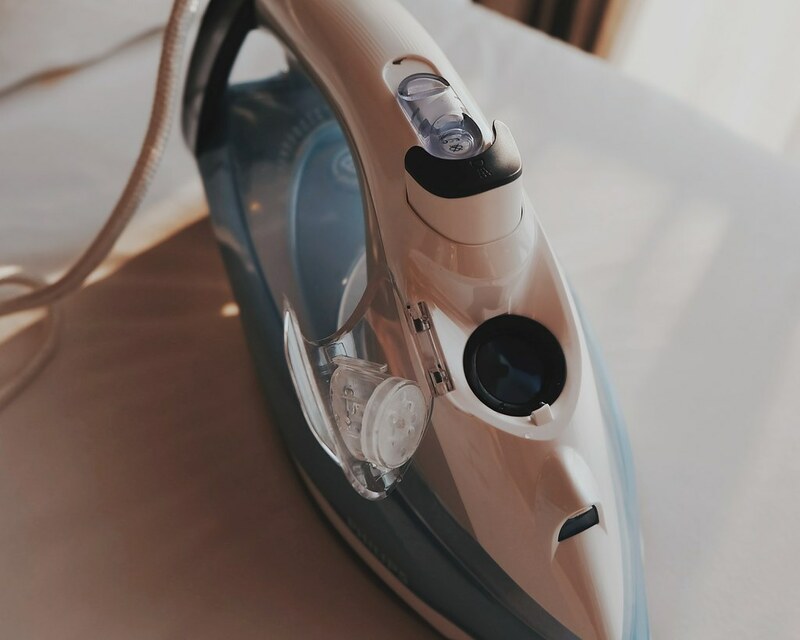 It’s made to ensure you with speedy ironing, great results on tough creases, no setting required and safe on all ironable fabrics. 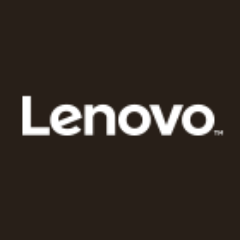 The perfect combination of steam and temperature because: 1) Smart Control Processor setting the right temperature 2) HeatFlow technology enabling an even steam and temperature balance. I still suggest that you check your clothing tags for ironing instructions and to check if the materials are good for pressing. Always check the Care Label of your clothes! Thank you @dearmarjsia for the dress!!! 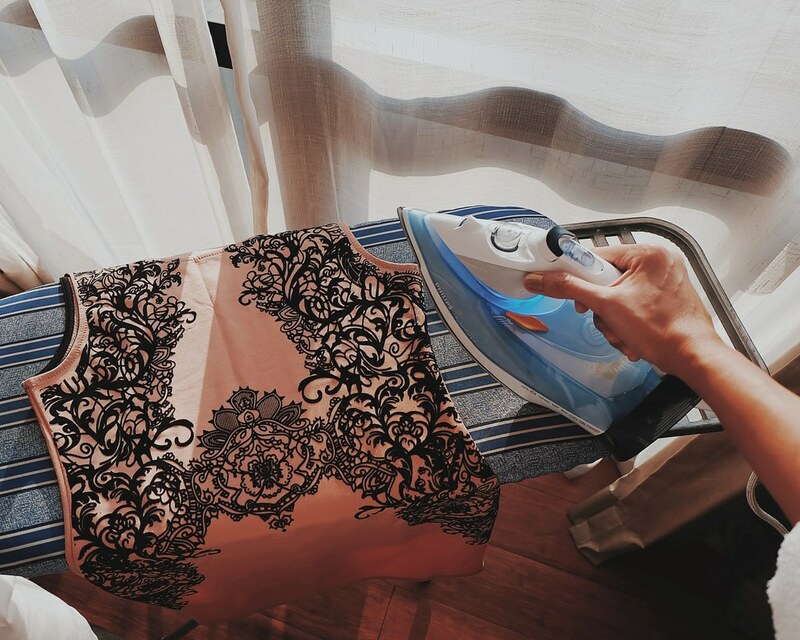 I love that the Philips PerfectCare Azur Steam Iron is so easy to use and glide through any fabric. 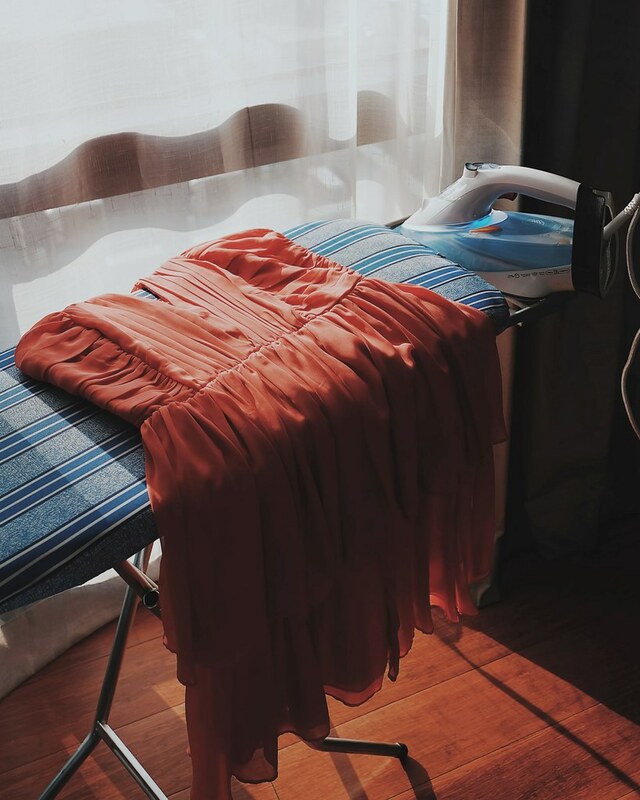 I ironed my shirt, denim shorts (which I rarely do, but did for the sake of testing the new flat iron), and my delicate dresses. 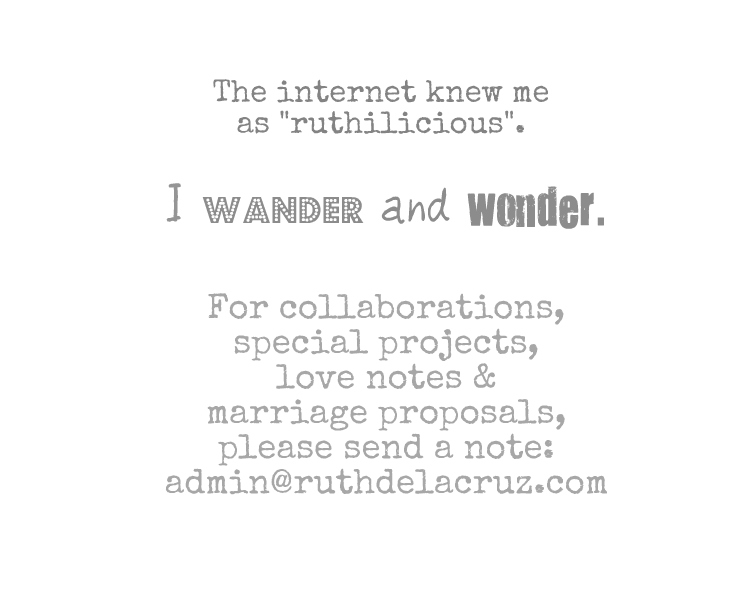 See instagram @ruthilicious on how I wore it! I love that I can just easily press on the Spray button to add some moisture on my clothes for easy ironing of creases. It also has steam boost from the soleplate which enhances the distribution of steam into every part of the garment. 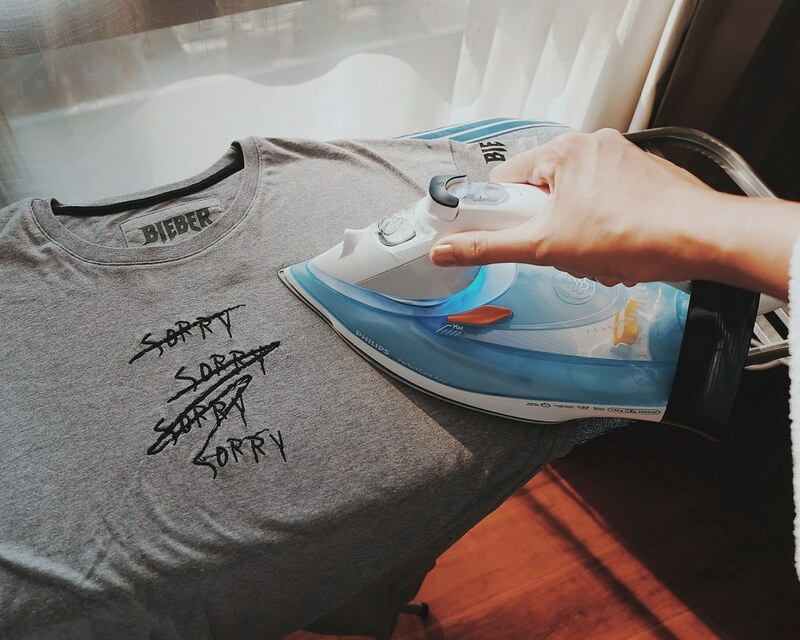 It sure cuts down my ironing time! This design is perfect for reaching stuborn areas like those around the buttons. The button grove is so visible that I can easily check and glide the iron around. There is also a Precision SteamBoost area for a focused shot of steam and the slim tip for delicate ironing. This feature is perfect for pressing button-down polos. I am very sensitive and cautious about heat-producing appliance. 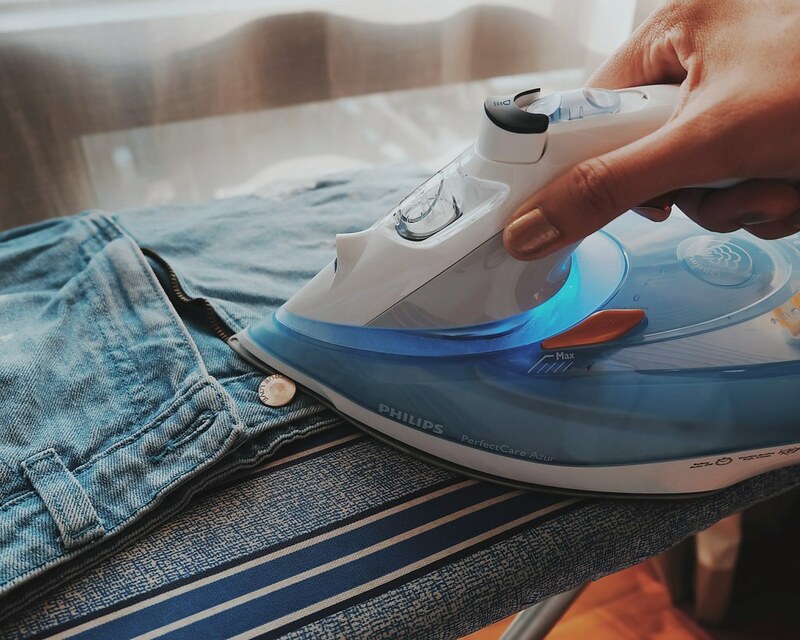 I love that the Philips PerfectCare Azur Steam Iron has a Safety Auto-Off function which automatically turns off when it has not been moved for 2 minutes in horizontal position, or 5 minutes when standing on its heel. To activate it again, you just have to move it again. You can easily just check on the blinking blue light. 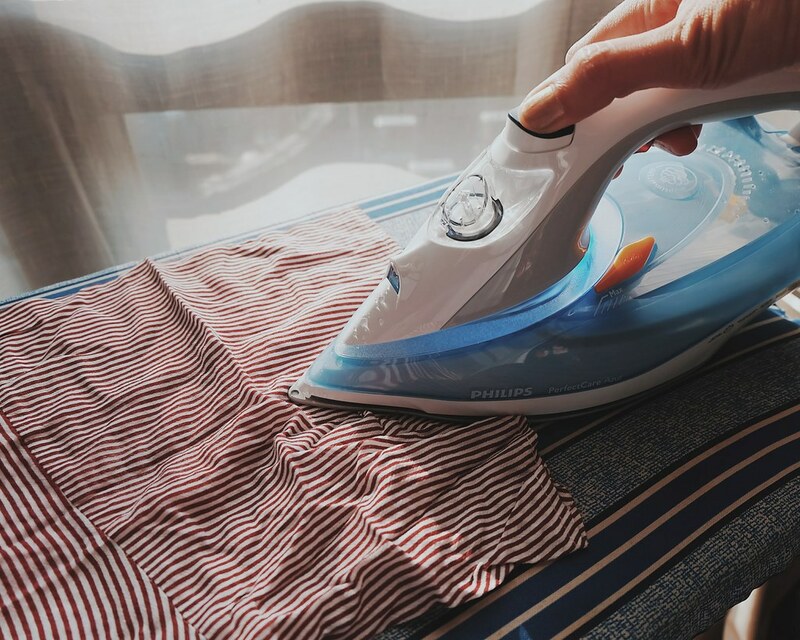 I can use the Philips PerfectCare Azur vertically to remove creases in clothes. I just need to hang the clothes, press and release steam trigger and touch the garment lightly with the soleplate. 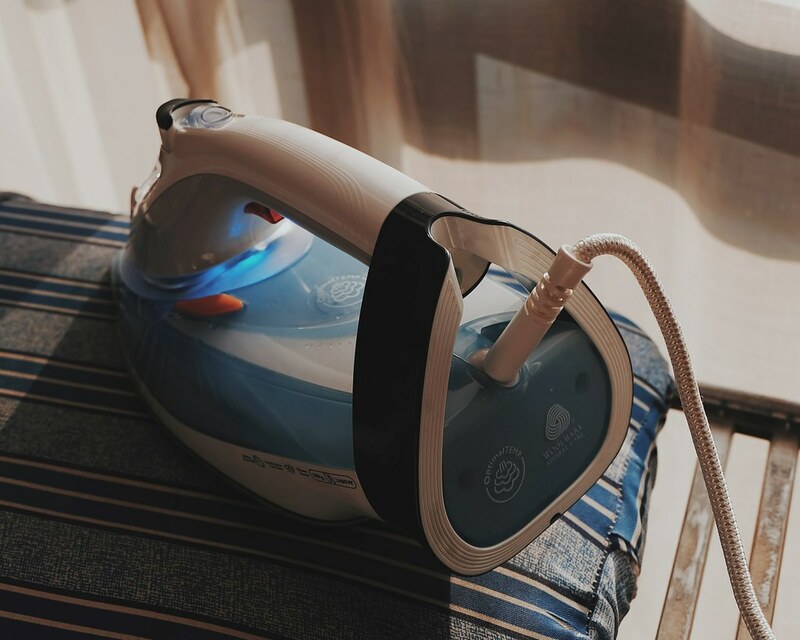 It has a steam output of up to 45 g/min for better crease removal. A word of caution though, do not steam from a garment while you are wearing it or when someone else is wearing it. I know someone who did it and got burned. I really love my new household chore companion. 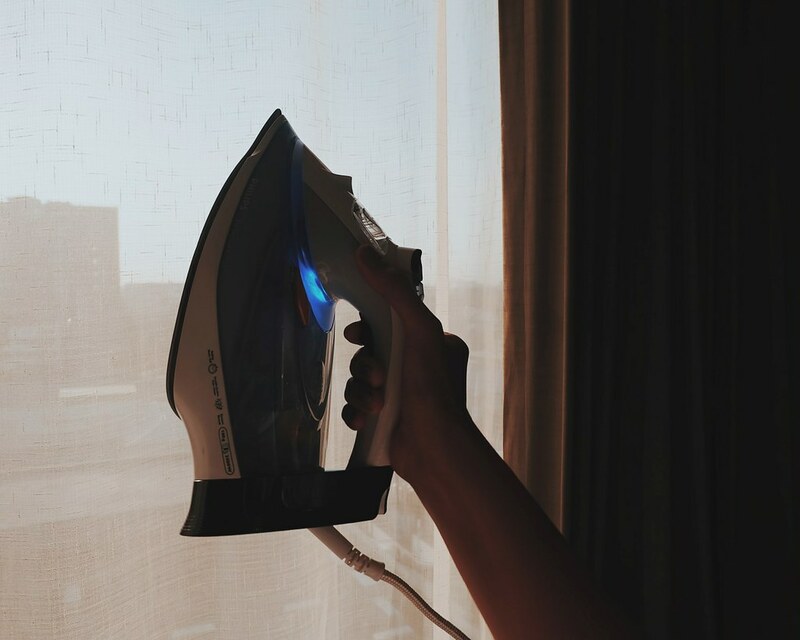 It is sleek, safe, easy-to-use, and cuts down my ironing time. 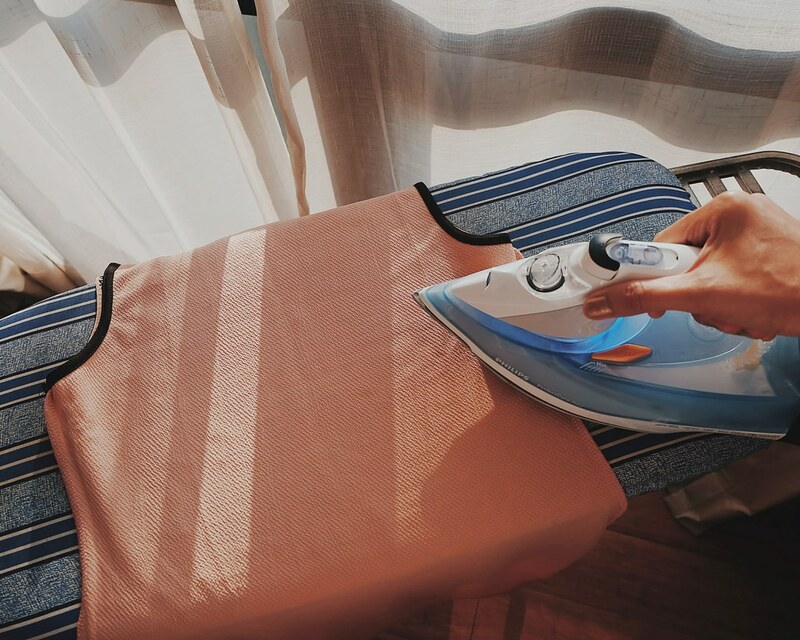 I can iron my delicate clothes made of different fabrics in any order, without adjusting the temperature, and use the steam boost function to remove creases on clothes that are previously pressed. 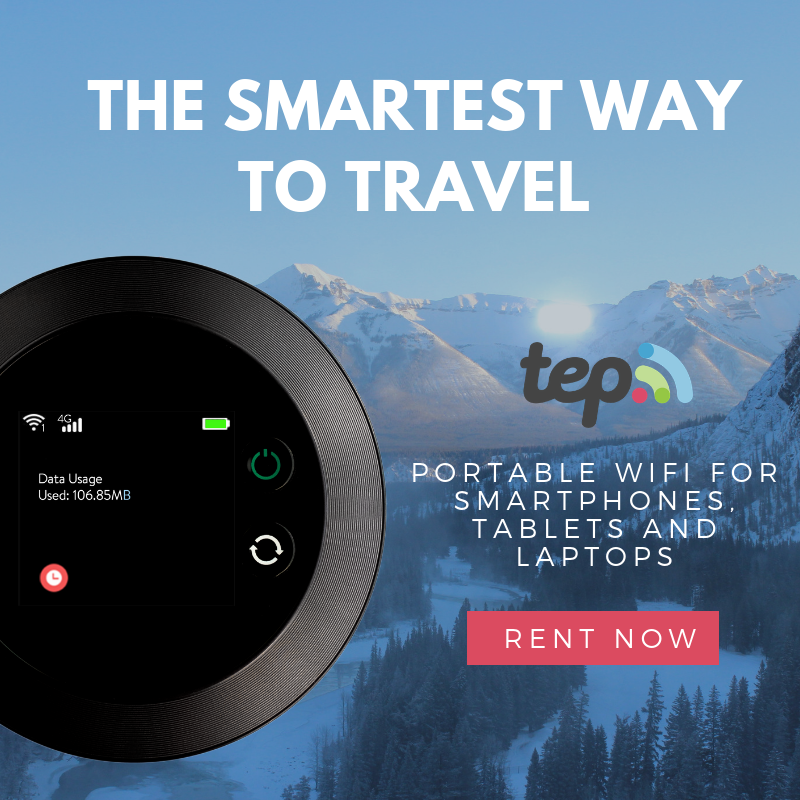 It easily heats up and has a safety auto-off function which is perfect for preventing accidents and saving energy. Mother Nature would be too happy! More than anything, it has the same functions that our old flat iron has (which my mom loves so dearly). 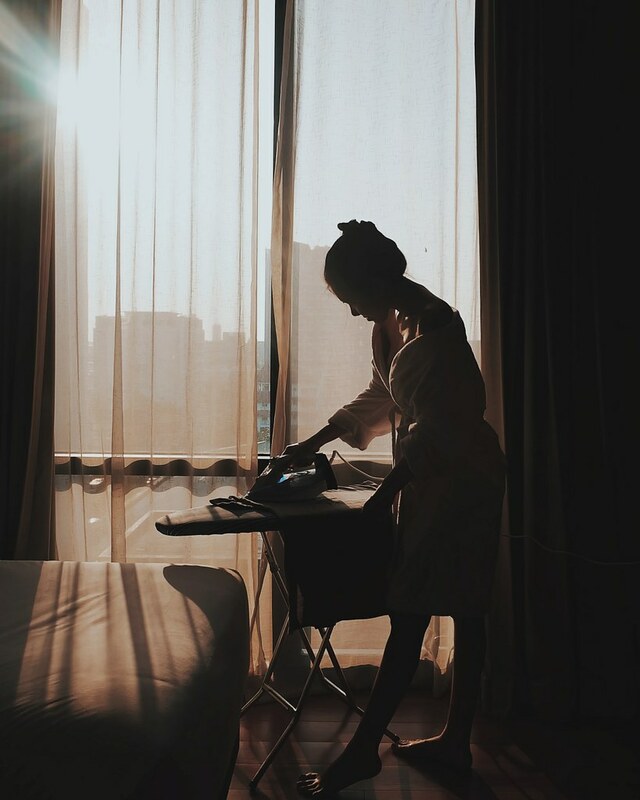 Thank you Philips for the opportunity to know the Philips PerfectCare Azur Steam Iron.